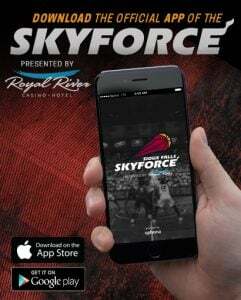 A little more than a few weeks ago, former Skyforce Head Coach Pat Delany joined coach Steve Clifford and his staff in Orlando after both had spent the last four seasons with the Charlotte Hornets. The move has been both exciting and challenging, but Delany hasn’t had much time to think about it, as he was named Head Coach of the Orlando Magic Summer League squad in Las Vegas. With the MGM Resorts NBA Summer League now underway, Delany has been faced with both delving into coaching an entirely new group of athletes, all while trying to help his family make the transition from Charlotte to Orlando. The move, Delany says, has been made easier by the overwhelming support that the Magic organization has provided. The on-court product has been an early success for Delany’s young Magic squad, as they won their first game against the Booklyn Nets 86-80 behind 20 points and seven rebounds from second-year forward Jonathan Isaac. As they look to continue their success, Summer League is more about developing a new culture and building relationships with a new team. For Delany, he is all-too familiar with the type of culture coach Clifford demands, and appreciates the relationship they’ve been able to build over the last few years. One does not easily and readily leave the Miami HEAT system, so making the choice to join Clifford and his staff in Charlotte after the 2013-14 season in Sioux Falls was a difficult one for Delany, but one that he is grateful for nonetheless. There have been few coaches over the years that have genuinely enjoyed their time in Sioux Falls as much as Delany did, and he’ll ready speak to it when asked about it. To whoever will listen, he’ll readily describe his first-rate experience while coaching in the NBA G League, which offers a good testimony for others that may have the opportunity in the future. While some may think of moving from being an NBA assistant to the head coach of an NBA G League team as a downgrade, Delany insists it was a vital part of his coaching experience, and helped him grown in more ways than he can count. He will, and has, advocated for the importance of gaining that coaching experience regardless of the position one might fill. It seems as though nobody’s ultimate dream job is to serve as the head coach for an NBA G League team in Sioux Falls. Everybody wants to coach or play at the sport’s highest level in the NBA. However, as Delany suggests, jobs are few and far between in the Association. That’s why, when anyone asks, he tells them to start at whatever level they can and work their way up. Coaching in the NBA G League is becoming an elite opportunity, and shouldn’t be taken lightly. As Delany now looks forward to how he can maximize the talents of young Orlando Magic players prior to the team’s training camp and 2018-19 season. He’s got the blueprint laid out, he’s excited, and is thankful for the opportunity to develop a hard-working group. This year’s NBA Summer League success will not only be hinged on wins and losses, but by how well the players and coaching staff can come together to establish a new look, and a new culture in Orlando. Despite limited preparation time, Delany has already taken advantage of the time he’s gotten with his players, and will look to continue the team’s success when they take on the Memphis Grizzlies tonight at 8:30PM CT on ESPN2.